TAKE $20 OFF Orders of $100 or More! 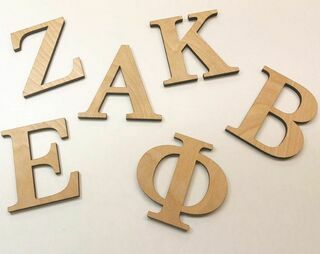 - Use Coupon "20Bucks"
These Greek Symbol Plaques & Wall Hangings are in-demand ahead of award and formal season at schools across the country. 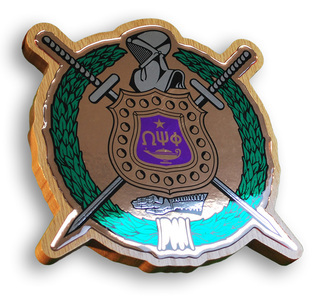 They can be designed with fraternity and sorority insignia as well as special messages for recipients like dignitaries, alum and brand new initiates. Greek Gear offers a selection of Wooden Symbol Plaques that are shaped like popular images that are associated with top fraternities and sororities, like animals, birds, crescent moons, stars and more. If this sounds interesting to you, just pick the shape that most closely resembles your group's images. We may be able to customize the plaque to your needs, or just purchase a blank plaque for crafting -- a great idea for a group of new members who are required to make handmade gifts for big sisters or brothers. We also carry special Divine Nine Wall Plaques that designed with the organization's full color crest -- these are perfect for displaying in an office, meeting room or the hallway of your chapter house. If you want to think a donor or supporter of your fraternity, a plaque makes a perfect gift of appreciation. Greek Gear is the preferred destination of fraternity and sorority members when they need Greek Symbol Plaques & Wall Hangings. Contact the GG team if you need assistance with a custom order. 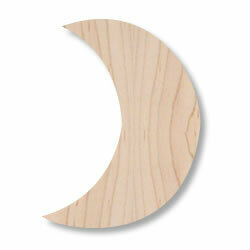 Greek Symbol Plaques & Wall HangingsThe Greatest Selection. Period.